This new album from Modo Antiquo contains three World premieres: the Sonata in G major RV820, one of Vivaldi's earliest known works, the Concerto in A minor RV522a, and the Sonata in A minor RVAnh.107a. The album also features four early compositions of Vivaldi that are very rare in recorded form. 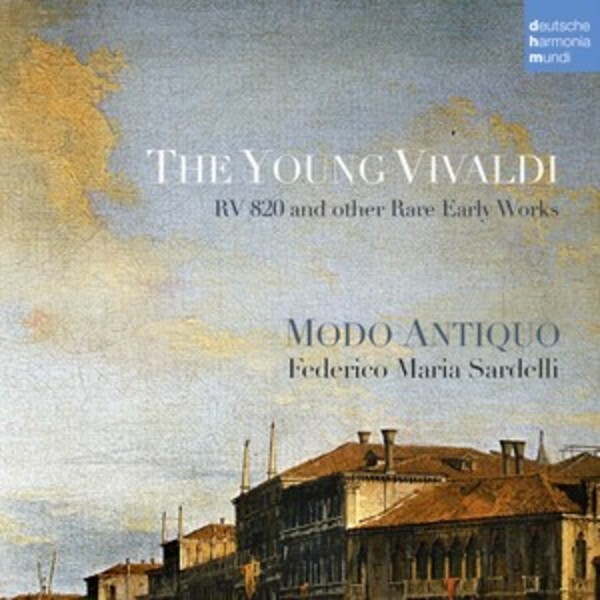 The result is something really unique and precious - on this recording we can hear �Vivaldi before Vivaldi�: a Vivaldi who has not yet reached what we recognize as his signature style. The ensemble Modo Antiquo, playing on period instruments, gives a brilliant philological interpretation of Vivaldi�s music. It stands as the only Baroque ensemble to receive two nominations for the Grammy Awards in 1997 (Concerti con molti Istromenti by Vivaldi) and in 2000 (Concerti grossi op.VI by Corelli). Founded by Federico Maria Sardelli in 1987, the Baroque Orchestra Modo Antiquo brings together musicians sharing instrumental virtuosity and in-depth knowledge of languages and historical performance styles. Modo Antiquo is characterized by a solid but philological interpretation, aware but far from contemporary sensational fashions. Performing in the most important Festivals and theatres all over the world, its discography counts more than forty titles, including many world premiere recordings, published by Na�ve, Deutsche Grammophon, Brilliant and Tactus. It stands as the only Baroque ensemble to receive two nominations for the Grammy Awards in 1997 (Concerti con molti Istromenti by Vivaldi) and in 2000 (Concerti grossi op. VI by Corelli). It is protagonist in the renaissance of Vivaldi operas, with premiere recordings and staging of Arsilda, Tito Manlio, Orlando Furioso RV728, Orlando Furioso RV819, Atenaide, Motezuma and Tigrane. The liner notes are written by Michael Talbot, the most prestigious scholar of Vivaldi�s music in the World.